BNC Male On RG316DS Double Shielded To UHF Female Connectors RG316DS Double Shielded 50ohm Coaxial Cable. 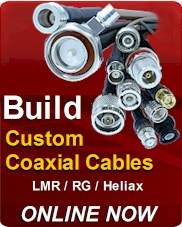 This Coax Cable is made from highest quality materials. This is a custom assembly. 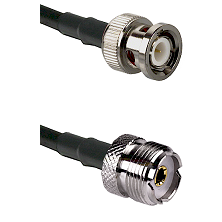 The price shown is a base price for terminating the connectors to the cable. Enter your required cable length in the box. Any Additional cable length must be entered in Feet. Any additional footage will be added to the base price at $0.80cents per foot. Cable is 100% inspected before shipping. If you require any additional information for your cable please enter that information also. The BNC Male to UHF Female is constructed using a Fluorinated Ethylene Propylene (FEP) body. RG316DS Our BNCM-RG316DS-UHFF-Length has excellent performance to 2Ghz and maintain a VSWR 1.35:1 to 2Ghz. 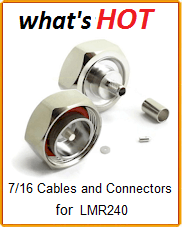 The Field Components RG316DS Cable Assemblies have an impedance of 50ohm. The BNCM-RG316DS-UHFF-Length RG316DS Cable Assemblies 50ohm is precision manufactured for the RF and Microwave components. RG-Type Cable Assemblies are part of over 200,000 available RF and Microwave components available to order online. 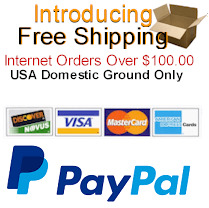 BNC Male To UHF Female Connectors RG316DS Double Shielded Cable Assembly products from Field Components can ship the worldwide. In Addition to our BNCM-RG316DS-UHFF-Length RG316DS Cable Assemblies Field Components stocks additional high frequency precision grade adapters, RF connectors and test grade RF Cable jumpers for wireless telecommunications applications, including WiFi, PCS, radio, computer networks, test instruments, Distribution Antenna Systems (DAS) and antenna devices.